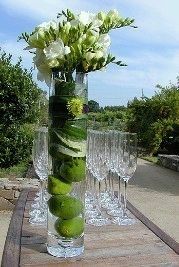 If you decide to give a green touch to your wedding that will succeed with the decor and the details of it, one of the most important issues are the centerpieces and floral arrangements, remember that all your guests will be sitting around the table, appreciating and seeing to the smallest details. You think if you want to use flowers, fruits, branches, candles, or anything else, and once you clear your ideas, start to define green tones. 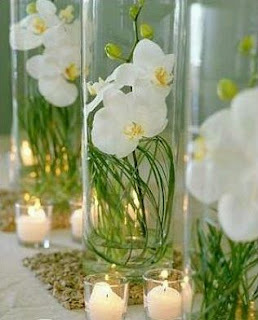 Here are some very interesting ideas. 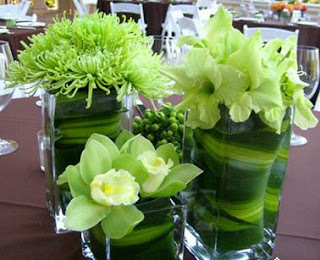 Arrangement with lemons and flowers, from the middle of the container, are placed sheets thick dark green. 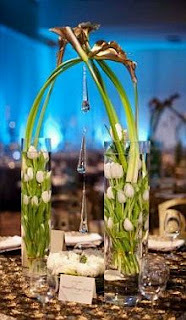 If you prefer drama, this arrangement is right for you, there are two containers with white tulips inside and four creeks crossings, environmental hang some delicate teardrop crystals. 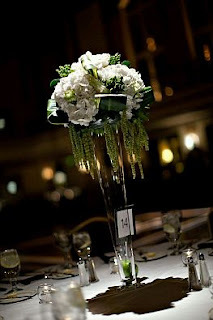 Another elegant arrangement in which the green touch they give green hanging plants and leaves and clusters of the same color that are also part of the centerpiece. 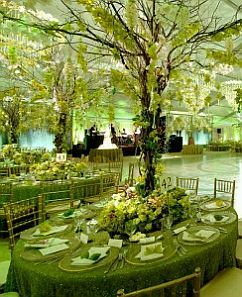 If you prefer the arrangements big and flashy, this may interest you, remember that you should preferably use to decorate rooms with high ceilings. Elegant arrangements with containers or vases decorated inside with vertical and horizontal sheets, on top has white roses arrangement. The least that can be said of this arrangement is that it's extremely delicad and romantic. 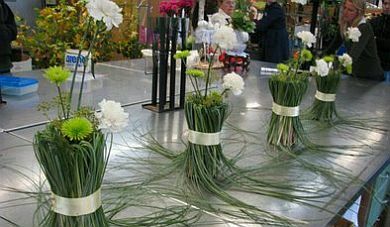 If you like the original, nothing beats these centerpieces made with branches and bent in the middle, white and green flowers. 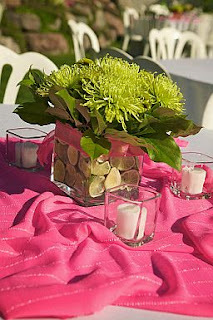 Centerpiece ideal for daytime or casual celebrations, with lemons and parties within plants and green leaves. Elegant table centerpiece, if you chose green and floral arrangements you characterize yourself as having good taste, this proposal might be interesting. 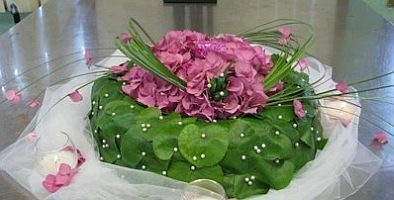 Another highly original work, in a wooden bowl placed with green leaves and flowers are complemented by the addition of a branch. This proposal also projects the green and the result of their combination with these white flowers, is just phenomenal. 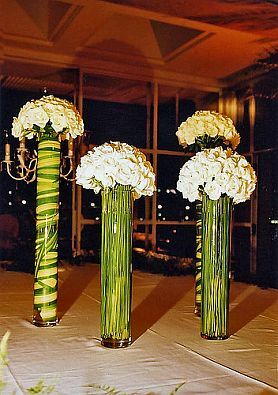 Finally, if you look at this picture you can see what they are stylish and colorful these centerpieces, a true work of art ...green.